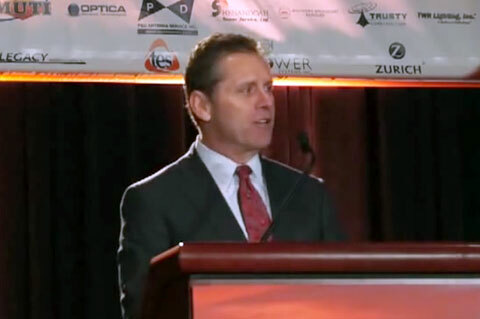 Profootballhof.com sat down with Steve Largent on April 8, 2011. The Class of 1995 enshrinee shared his thoughts on what it means to be a member of the Pro Football Hall of Fame. Largent is a Pro Football Hall of Famer and a former U.S. Congressman, having served in the U.S. House of Representatives for Oklahoma from 1994 until 2002. He spent 13 years with the Seattle Seahawks. He was inducted into the Pro Football Hall of Fame in 1995. In 1999, he was ranked number 46 on The Sporting News’ list of the 100 Greatest Football Players, the only Seahawk on the list. Largent’s number (80) was retired in 1992. Playing Field Promotions is a booking agent for motivational sports speakers and celebrities. If you would like to book Steve Largent for a speaking engagement or personal appearance, contact Steve Largent’s booking agent for appearance & speaker fees at 1.800.966.1380.